Frolick’s mandate is to produce holistic theatrical presentations, original and classical work, local harvest feasts, and dancing celebrations that open the heart, wake up the mind, and enliven the soul. Frolick also curates and presents visionary and traditional forms of art. We offer workshops in acting, stagecraft, stilt walking and writing. The company has a co-operative structure, where profits are divided by shares. Shares to each SHOW are offered to those members participating in the creation and presentation of each SHOW. From Frolick's inception in 2011 (A Midsummer Nights Dream) as a full scale "Community Engaged", "Multi-disciplinary" "Wholistic/Shamanic" theatrical company, audiences have been treated to local (cast grown) food celebrations as well as great, highly entertaining and unique independently produced shows. Frolick has developed mutually beneficial relationships over the years with many different artists including designers, directors, puppet makers, film makers, actors, stage managers, graphic designers, carpenters, musicians, circus performers and painters. Sometimes we hire fee for service or sometimes we hire through profit sharing arrangements. If you are an artist seeking work, please send us your resume and contact info as well as examples of your work here. Frolick strives to make sure the wages we pay are fair, and the rates we charge are equally fair. Frolick has partnered with neighborhood associations, charities, ad-hoc organizations and festivals to bring our special brand of magic and whismy to a diverse cross-section of patrons. 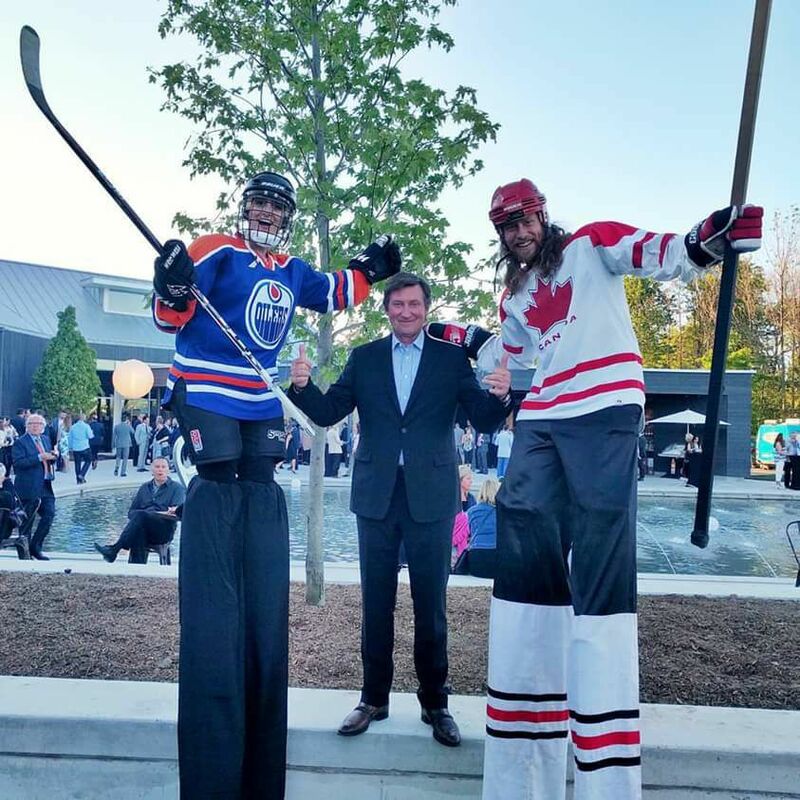 Matthew Krist has quickly become the go-to Toronto stilter for Toronto and GTA and Southwestern Ontario events. He is equally adept at stilts ranging from 2 ft (acro-stilting) to 5 ft (super tall). He can juggle, hoola hoop and hop on one foot wh﻿ile playing the kazoo while stilting. The Frolick Costume stores include many different stilt walking characters, from King's to Beasts for all occasions and seasons. 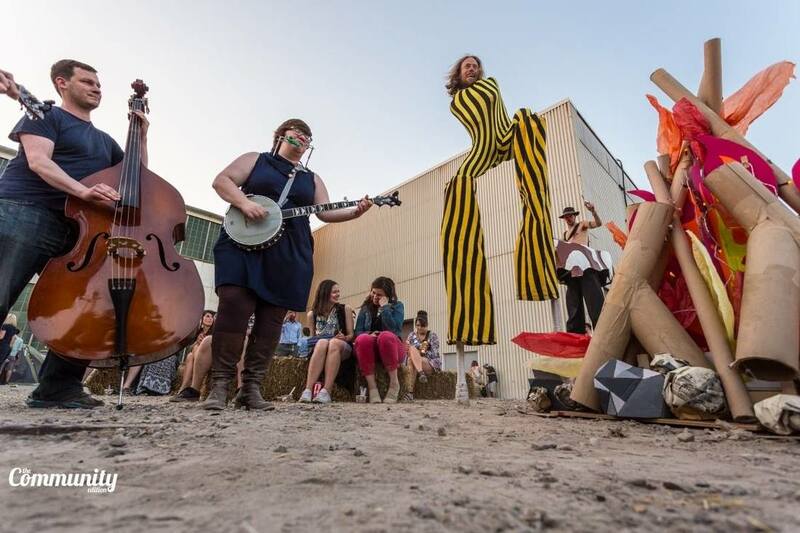 In addition, Frolick has a great team of stiltwalkers, site animators, puppeteers, clowns, dancers, singers, firespinners, jugglers and and musicians to enliven any event. Come to us to book your roaming entertainment, or contact us for site specific performance art for your weddings, festivals and events.